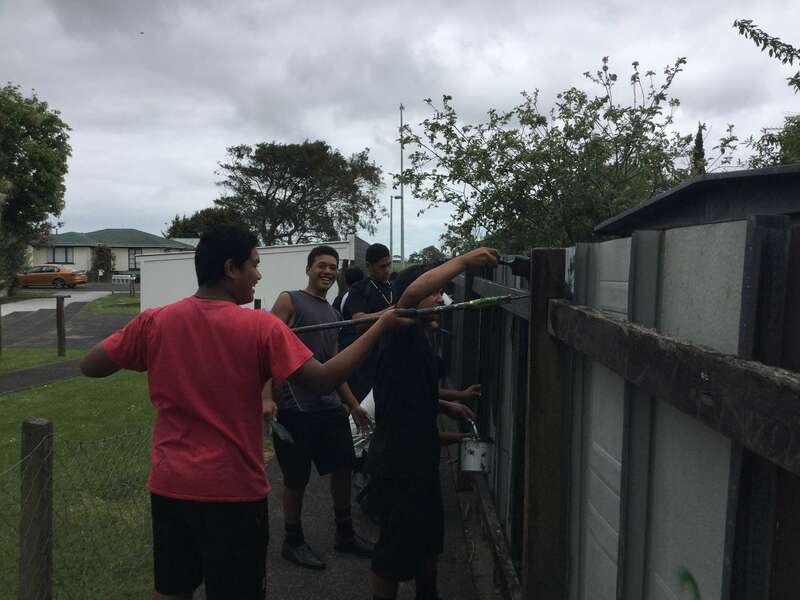 Showing their concern for their community, a group of about 15 students are hard at work this morning making the Adams Street walkway a better place to be. 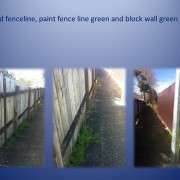 They've weeded, collected rubbish, fixed fencing and prepared and painted the fenceline and a block wall. It was the end of an Inquiry they'd begun in the Te Pae Tawhiti learning area, where students can decide the topics they'd like to learn more about. 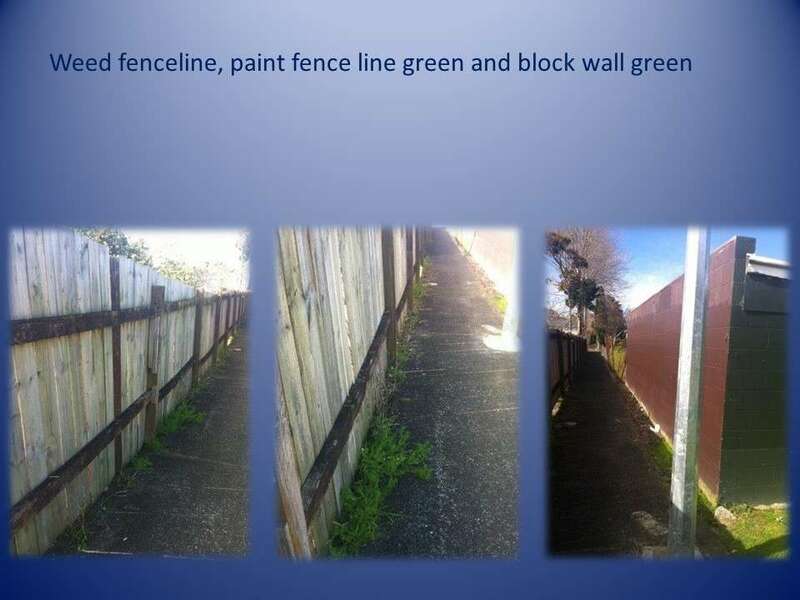 For the students in this project, the topics included the problems of tagging and rubbish in Manurewa. 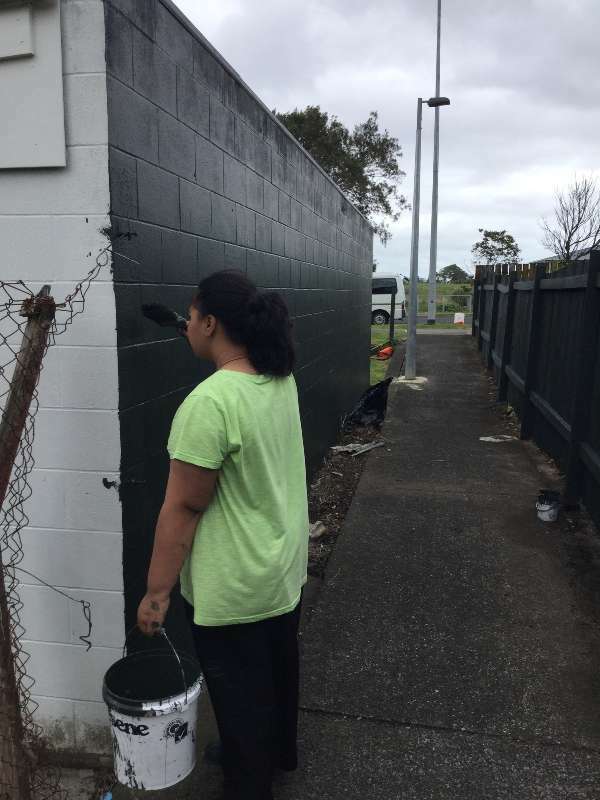 The project was done in collaboration with Manukau Beautification Trust, and is the fourth year that we have partnered with MBCT to improve the environment.